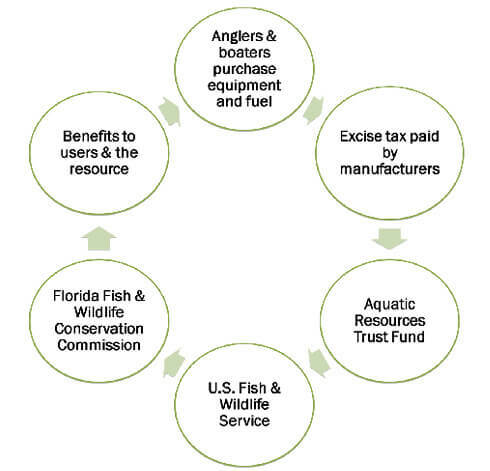 The money collected from saltwater fishing licenses is used to improve and restore fish habitat and for marine fisheries research, law enforcement and public education on marine resources. An additional $.50 fee will be charged for any license or permit not purchased directly from the county tax collector. Obtain immediate license privileges, 24 hours a day, at GoOutdoorsFlorida.com or by calling toll-free 888-FISH-FLORIDA (347-4356). Processing fees will apply to telephone and Internet sales. Subject to change due to availability of appropriate facilities to hold the meeting. For more information about Commission meeting dates, times, locations and agendas, visit MyFWC.com and click on “About” and “Commission Meetings” on the top of the page.